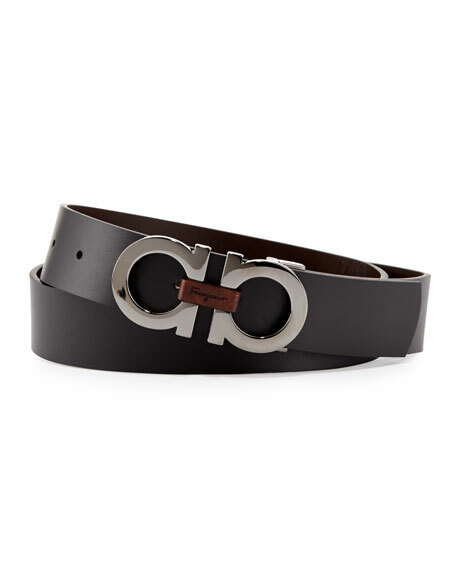 Black and light brown leather. 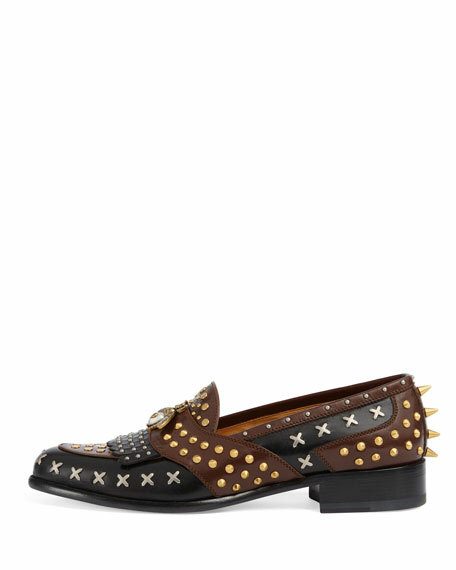 Gold- and silver-toned studs and spikes. For in-store inquiries, use sku #2383025. 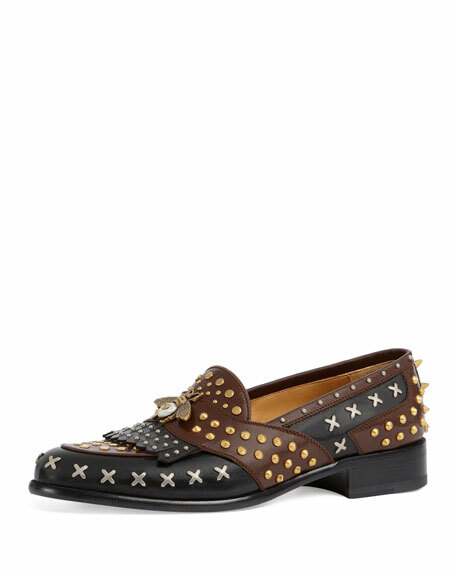 Isabel Marant loafer in calf leather with stud trim. 0.2" stacked heel. Round toe. Keeper strap at notched vamp. 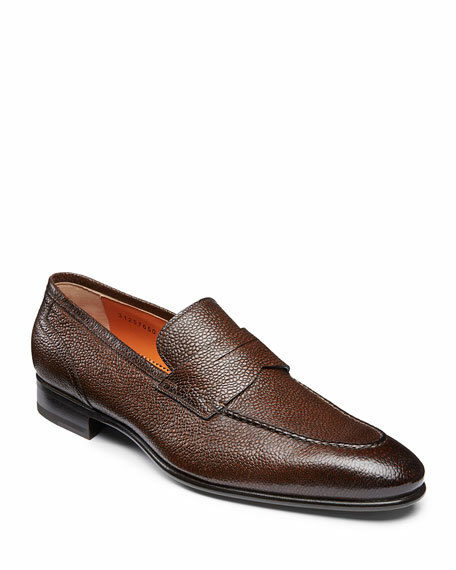 Slip-on or slide style. Dropped backstay. Padded footbed. Smooth outsole. 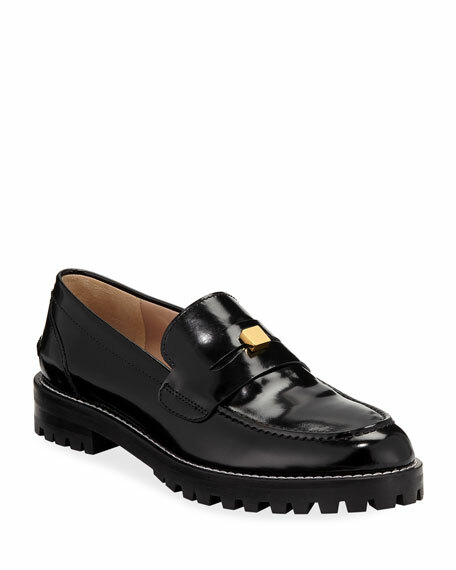 Stuart Weitzman shiny patent leather loafers. Chunky heel and platform. Round toe. Golden stud at keeper strap. Notched vamp. Slip-on style. Leather lining. Lugged rubber outsole. "Penley" is made in Spain.